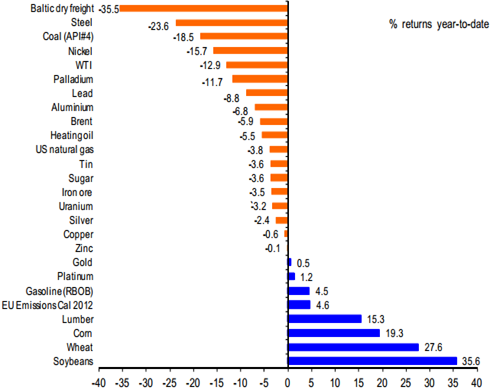 Here is a good summary of commodity returns as of the end of last week. 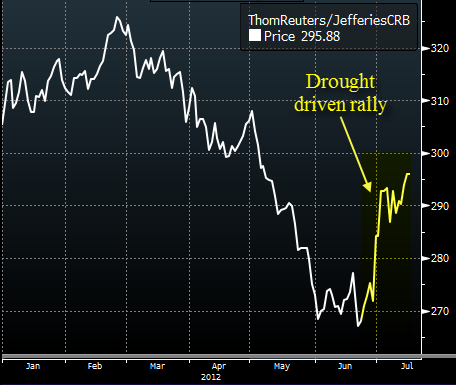 Overall the CRB commodities index is down 3.1% year-to-date. The index was down as much as 12.5% back in June but recovered as the North American drought pushed up agricultural commodity prices (10.8% rally in less than a month) .